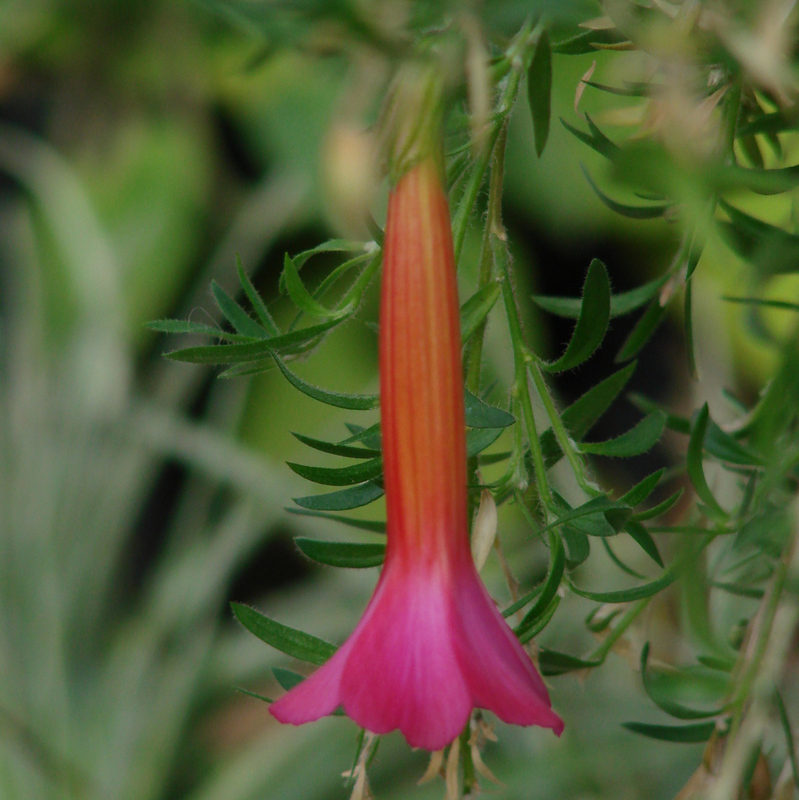 (Bicolor Sacred Flower of the Incas) Four-inch-long trumpet blossoms in a neon combination of red-orange and hot pink contrast with mid-green foliage in Cantua buxifolia 'Hot Pants'. This is a long blooming, South American native. Numerous flowers grow in clusters on this tall, wide shrub, which is evergreen in areas with mild winter temperatures. In its native lands, the species grows on the margins of forests. For best results, give it full sun and rich, well-drained soil. If summers are particularly hot where you live, it may appreciate a bit of partial shade. This is a good choice for a pollinator garden. 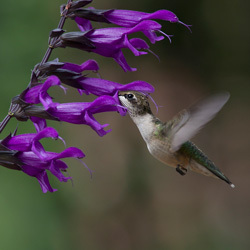 Hummingbirds are attracted to it, but deer stay away. Mostly known as "Kantu " in Peru and Bolivia where it is considered a national flower, Cantua buxifoliaalso grows in the Yungas mountains of Northern Argentina. 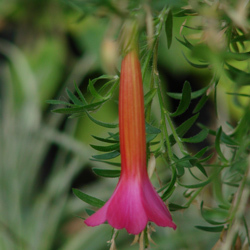 Aside from the dramatic bicolor combination of Hot Pants, the species has varieties with red, pink, yellow and white flowers. Cantuais a Latinization of qantu-- the species' original name from the native Quechuan people of the Andes.Buxifoliarefers to the shrub's boxwood-style foliage. (Himalayan Cloud Sage) Nepal's Muktinath Valley -- a sacred site for Hindus and Buddhists -- is the place to go to see this majestically tall shade perennial in the wild. It grows at altitudes up to 14,000 feet and often emerges while the ground is still snowy.